Fat is often a topic that causes confusion. The fact is, there are some healthy fats. But there are others that should be avoided. The American Heart Association (AHA) says there are two types of trans fats. The first is one that is found naturally in some animals. Small amounts of these naturally occurring trans fats can be found in foods such as milk, cheese, butter, and meat products. The second is artificial trans fats, also known as trans-fatty acids. According to the Food and Drug Administration (FDA), artificial trans fats are produced through a process that adds hydrogen to vegetable oil. This results in a fat that is solid at room temperature, like margarine. Research has found that trans fats can raise bad cholesterol and lower your good cholesterol levels. This puts you at a greater risk for heart disease, stroke, and possibly Type 2 diabetes. The World Health Organization (WHO) estimates that trans fats contribute to more than 500,000 deaths each year in individuals who suffer from cardiovascular disease. To improve health and save lives, the WHO is calling on governments to eliminate industrially produced trans-fatty acids from the food supply. You may be surprised at how much food contains trans fats. 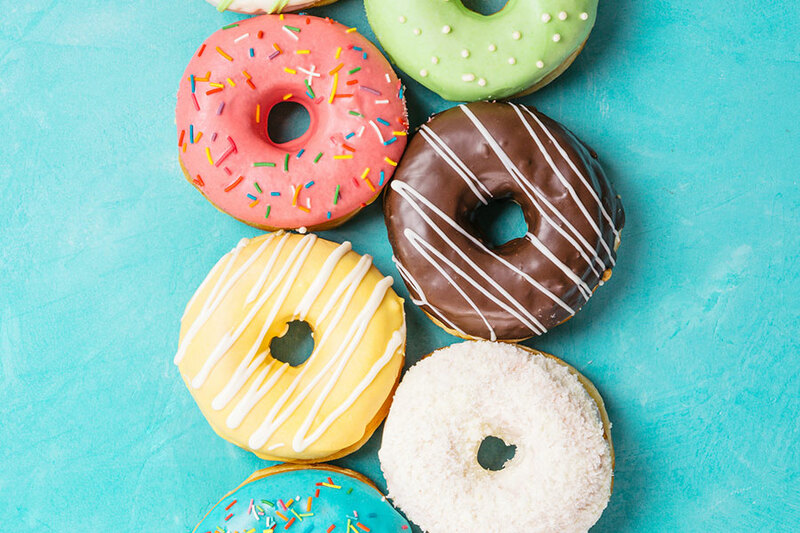 The Academy of Nutrition and Dietetics lists items such as cakes, cookies, crackers, pastries, pies, muffins, donuts, and French fries as foods where trans fats can often be found. Thanks to a 2006 ruling from the FDA, however, foods labels must include trans fat in nutrition labeling on products being sold in grocery stores. Until trans fats are eliminated from foods, there are things you can do to reduce your intake of these dangerous types of fats. You can avoid trans fats or reduce your intake by reading nutrition labels on the foods you are buying. It is important to note, though, that products can be listed as having zero grams of trans fats if they have less than 0.5 grams of trans fat per serving. When dining out, try to avoid fried foods. Opt for foods that are steamed, baked or broiled. Substitute an extra order of steamed vegetables or side salad for fries. Fried foods are often prepared in hydrogenated oils and saturated fats like "tropical oils" such as coconut oil, palm oil and palm kernel oil, and cocoa butter. The AHA recommends looking for foods prepared with un-hydrogenated vegetable oils, such as a soft margarine as a substitute for butter. When possible, choose unsaturated fats (monounsaturated and polyunsaturated) instead of trans fats, like those found in fish such as salmon, trout and herring, avocados, olives, walnuts, or liquid vegetable oils such as soybean, corn, safflower, canola, olive and sunflower. Before ordering, ask your server what types of oils are used in the cooking process. .If the food is prepared using a solid form of oil or a tropical oil, ask for one of the above as a substitution. The AHA also states that both polyunsaturated and monounsaturated fats may help improve your blood cholesterol when used as a substitution for saturated and trans fats. Choose lean cuts of beef and pork. Look for “loin” or “round” on package. Limit processed meat like hot dogs, salami, or bacon. Bake, broil, stew, roast, or stir fry your lean meats, fish, and poultry. Drain fat from cooked ground beef. When making stew and soups, refrigerate the leftovers and skim the fat before reheating and eating. Eat fish regularly. It can be baked, broiled, grilled, or poached. Include soybeans, pinto beans, lentils, and nuts as a plant based protein. Replace higher fat cheeses for lower fat cheeses (e.g., reduced fat feta and part skim mozzarella). Use evaporated fat-free milk to thicken sauces instead of whole milk. Gradually incorporate lower fat milk and yogurt into your diet. Avoid stick margarine or shortening. Use vegetable oil or soft margarine instead. Limit foods that are known to have trans fats, such as cakes, cookies, crackers, pastries, pies, muffins, donuts, and French fries. Use small amounts of canola and olive oil in recipes that require sautéing. Olive oil and pecan oil can be used when making salad dressing. Knowledge is power. This information can help you make healthier choices when it comes to the food for you and your family. With all the healthy, natural options out there, you will not miss those trans fats!